This year I finally started getting out some concept art for the large roster of characters. This one is Faron, an insular young man trained as an alchemist after being orphaned as a child. His relationship with the revolutionary army is complex - does he actually believe in anything they're doing, or is he just too scared to be anywhere but in their ranks? 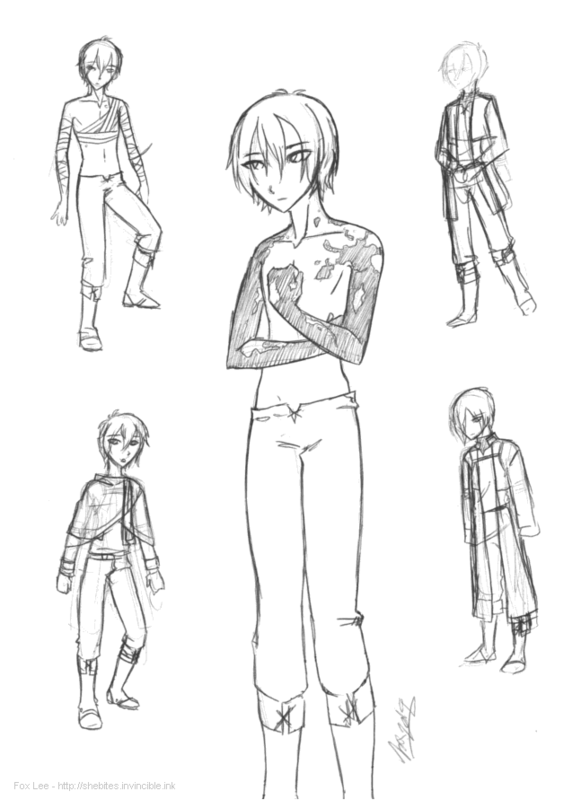 I'm still working on his costume, obviously - I'm not satisfied with any of these yet.